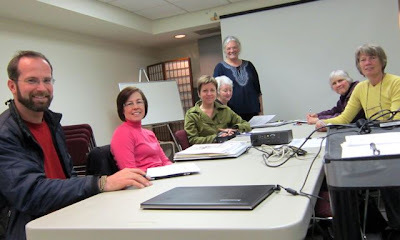 The California Genealogical Society offers a free "Intro to Genealogy" class on the first Saturday of every month, from 1:00 p.m. to 3:00 p.m., at the library at 2201 Broadway, Suite LL2, Oakland, California, in the historic Breuner Building. 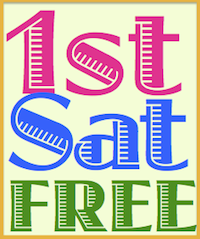 The intro class is part of our monthly First Saturdays Free event when we welcome non-members and the general public. We open the library and share our resources with anyone interested in learning more about their family history. The library is a benefit of membership and is available to non-members for a $5.00 day fee during the rest of the month. Volunteers with research experience take turns teaching the intro class which focuses on basic research methods and terminology. The class covers common (and uncommon) family history records and the resources available, both online and in libraries, repositories, and archives. The two-hour session also includes a tour of the library and an overview of our extensive holdings. The dates above each link to the registration pages for each class. Please join us!